OPI participants develop the strength and internal fortitude to take chances, establish goals, and find direction. We support this process by providing opportunities for young adults to redefine how they are going to earn a living, support themselves, find loving and supportive relationships among peers and colleagues, and improve communication with family and loved ones. By integrating into our OPI family, participants revisit their understanding of their own families. They learn skills to reopen communications that allows for greater acceptance, tolerance and clarification of differences and shared values within their own family. Transform the family’s communication with their more mature, sensitive and responsible young adult. This reduces anxiety and creates greater support for all parties. Provide feedback and updates on the participant’s progress and also provide support to parents. Re-establish and/or strengthen relationships and the bridge of communication used within families. 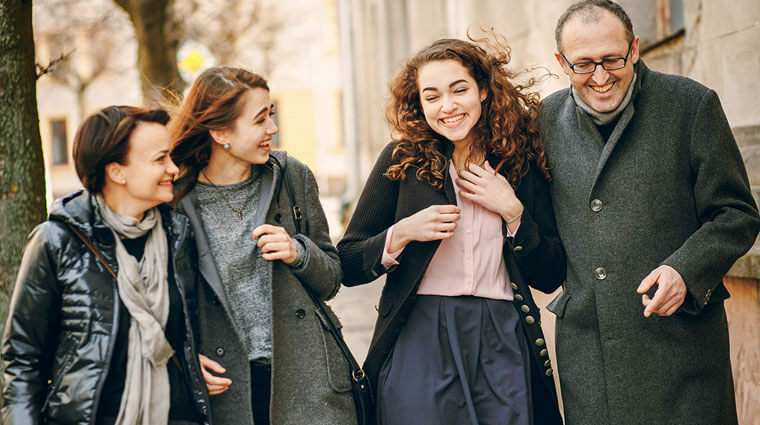 When a young adult is dealing with a mental health condition which sometimes may be complicated by drug or alcohol use, it’s likely the family experienced many difficulties. Sudden mood changes, broken promises and shattered communication – many, many families have been torn apart by a loved one falling prey to addictions or to the difficulties of a mental health condition. That’s why family involvement in therapy is crucial to recovery.